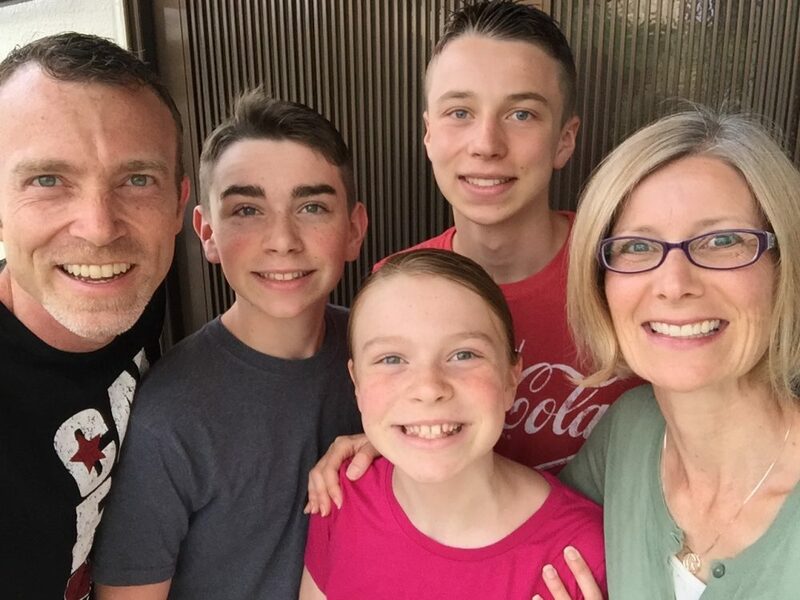 One of the strengths of our homeschool curriculum is that it is great at making history and geography interesting and fun to study. 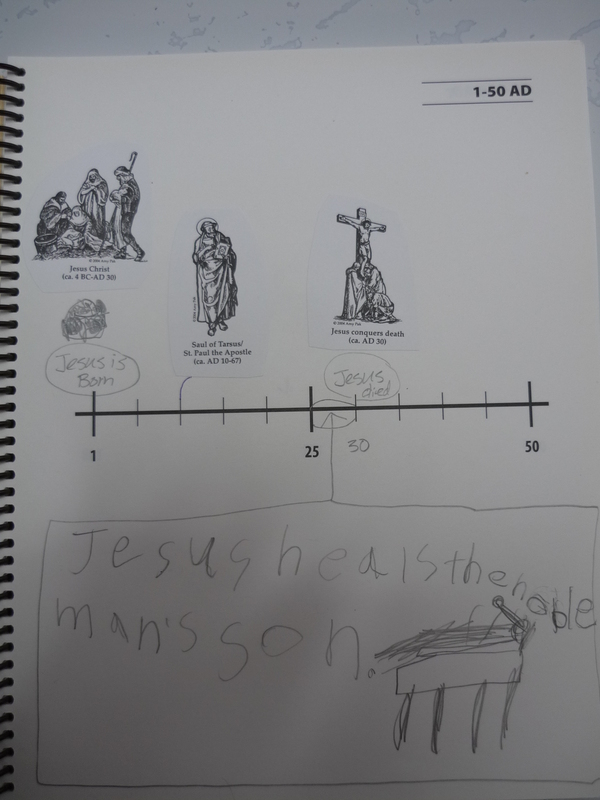 A really cool aspect of our history studies is The Book of Time. 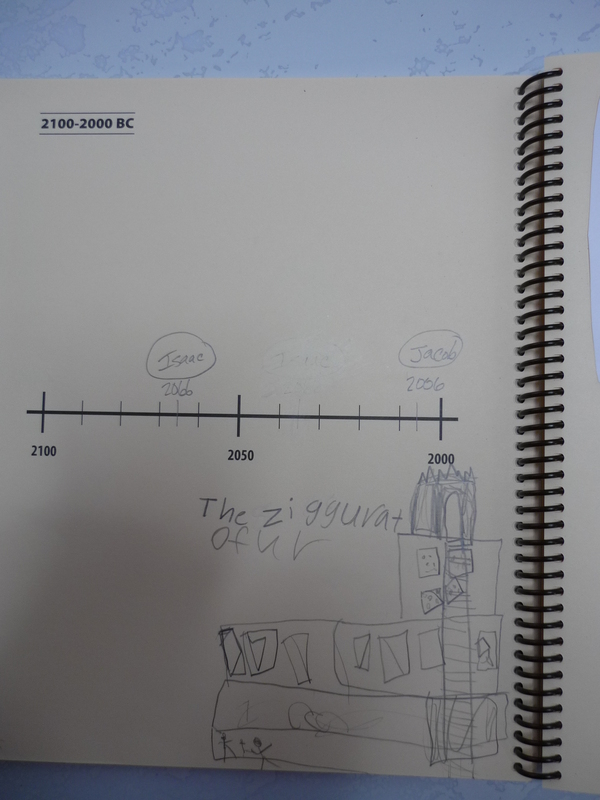 It’s a blank timeline (in book form) that runs from 5000 B.C. to the present. 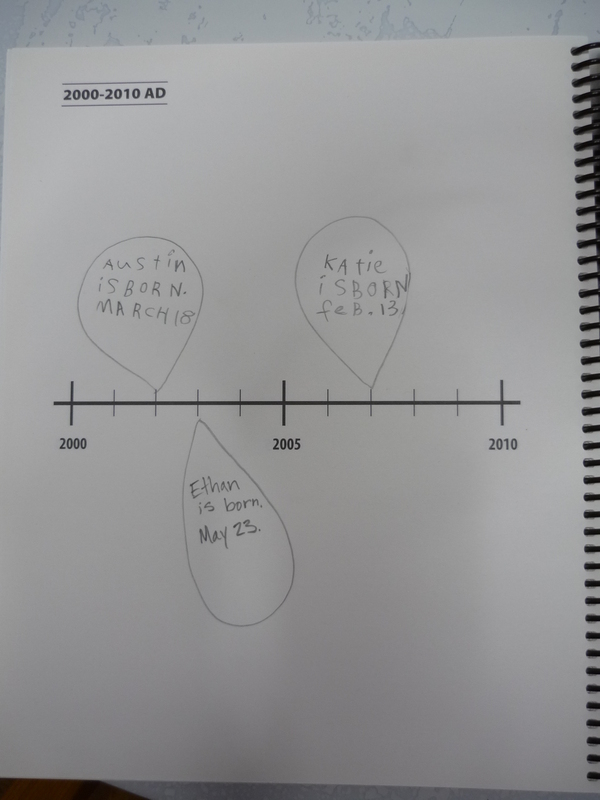 When we read about something or someone from history, we add that into our Book of Time at the spot on the timeline when it occurred. 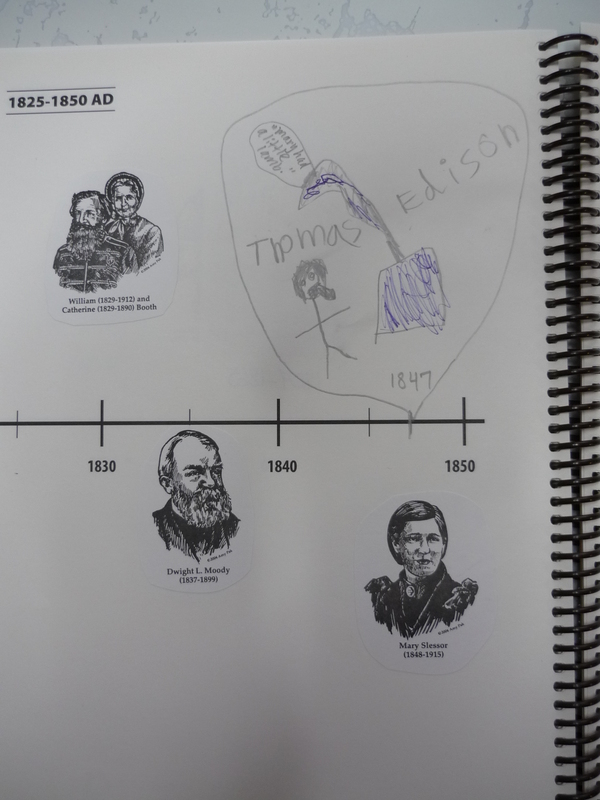 Every year Sonlight gives us new stickers that cover the major historical figures or events that we will be learning about during that school year and the kids get to take turns pasting the stickers into the book once we’ve learned about something. We’ve also been writing in things that aren’t included in the stickers and have put all of our birthdays on the timeline as well. The kids LOVE using it and I have to say that it’s really interesting for me too. 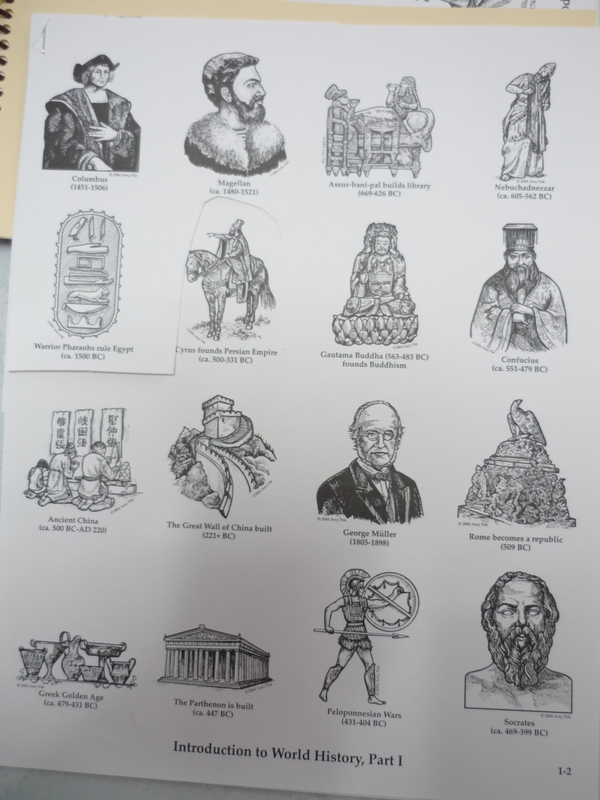 History was never my best (or favorite subject) when I was a student, so it’s great for me to be reminded of events and people I’d forgotten about and to see how they all fit into the flow of history. 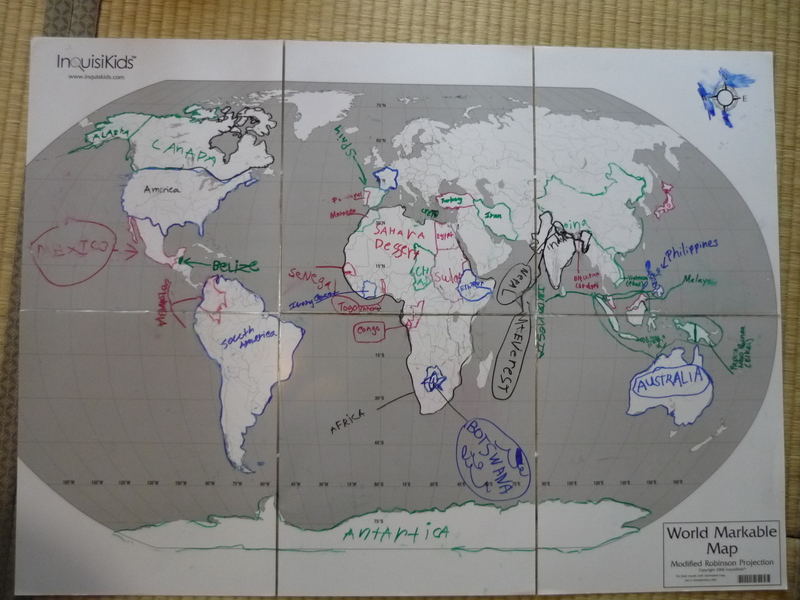 The other really neat “tool” in our curriculum is a blank laminated markable map with the world on one side and the United States on the other. 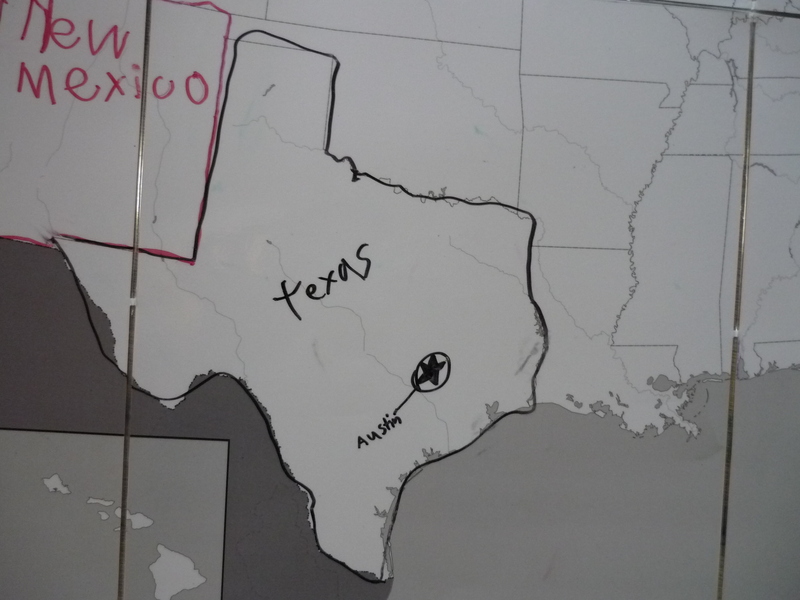 Whenever we read about a particular country, we like to stop what we’re doing, find it on a regular map and then use wet erase markers to trace the country and write it’s name on our markable map. 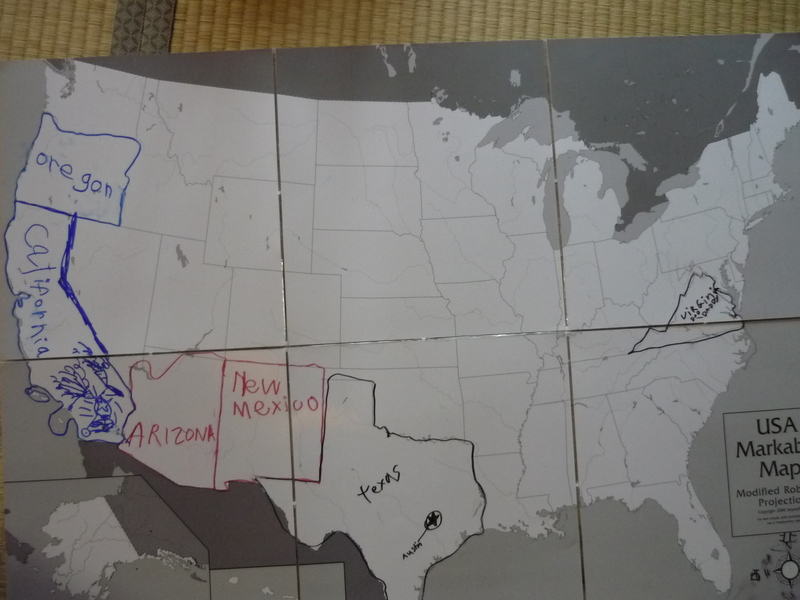 At the end of the school year, we take a photo of the map for posterity and then erase it so we will have a blank one for the next school year. The boys love this activity so much that I am often faced with needing to mediate fights over who gets to be the one to mark on the map first. 🙂 And, as a side benefit, my map skills are improving too! !